With the help of an epoxy flooring contractor from Novell Painting of St. Petersburg, FL you can give new life to the flooring surfaces in your home or business. We take pride in providing high quality epoxy products and services to our customers in St. Petersburg and the surrounding Tampa Bay area. We have the knowledge and experience it takes to apply epoxy applications to your home garage as well as epoxy coatings at commercial business like warehouses, auto-shops, commercial kitchens, machine-shops, hospitals, aircraft hangars, industrial facilities, and any commercial floor that requires a durable, long-lasting epoxy coating . 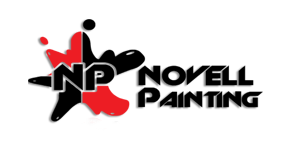 If you’re searching for an epoxy flooring contractor in St. Petersburg, Florida and surrounding area look no further than the professional experts at Novell Painting of Tampa Bay Florida. Call us today to schedule a consultation.